As the largest city in Canada and one of North America’s major urban areas (5.5 million people live in the GTA-Greater Toronto Area), Toronto is teeming with family-friendly activities and attractions. The city offers something for everyone and every interest – museums and galleries, historical sites, professional sporting events, numerous shopping districts, and a world-class theatre and arts community. Canada’s growth has always depended on immigration and many of these newcomers gravitated to Toronto and transformed it into one of the world’s most multicultural cities with neighborhoods that offer diverse cultural experiences. 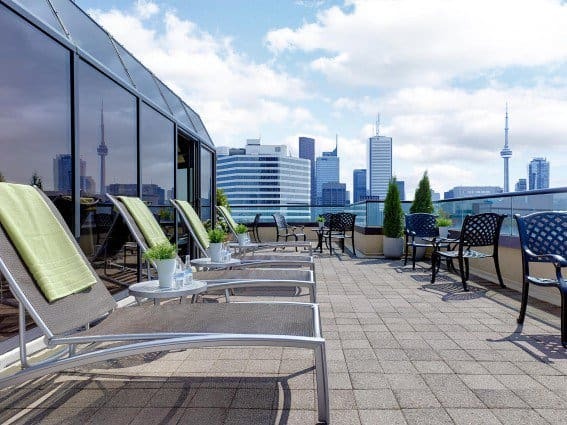 Toronto’s lovely location on the shores of Lake Ontario, and the fact that it is also considered to be one of the safest large metropolitan areas in North America, are additional reasons why the city is a popular destination. Here are our recommendations for the top 10 things for families to do in Toronto and a few tips on where to dine, stay, and take a day trip. The Hockey Hall of Fame, housed downtown in a historic bank building, is a must see for hockey fans of all ages. Visitors can browse through rooms with displays of treasured hockey memorabilia, view a showcase of honored members, and pose for a photo with the Stanley Cup. Multi-media exhibits, interactive games, and virtual experiences up the fun factor. Kids will love lining up in the NHLPA Be A Player Zone where they can take on the challenge of scoring against a virtual NHL goalie, or stepping into the net and stopping shots by NHL greats. 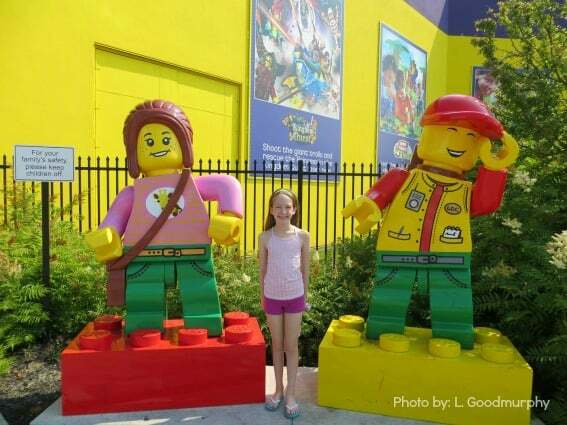 LEGOLAND Discovery Centre Toronto is a popular attraction in the GTA. This Discovery Center is a scaled-down indoor version of the popular LEGO theme parks and its designed to appeal to families with young children. 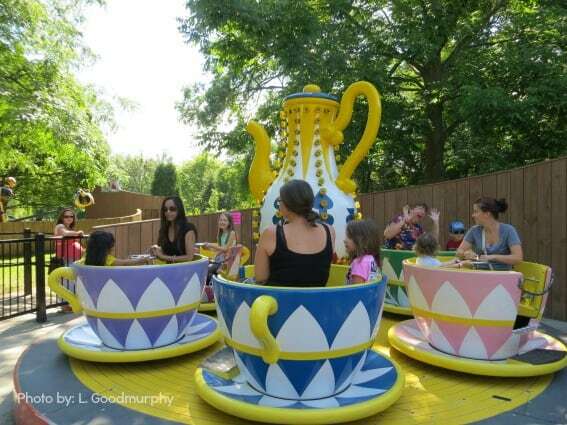 The center features rides, themed play areas, a 4-D cinema, and MiniLand Toronto. Entry to this popular attraction is controlled, so it is wise to reserve tickets online ahead of time for your desired time slot in order to avoid disappointment. 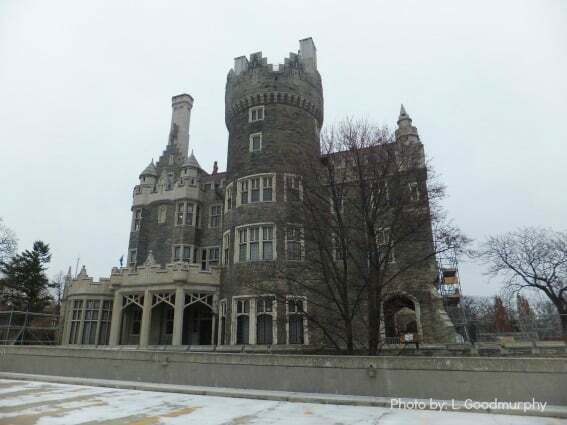 Visitors are often surprised to learn that there is a castle in Toronto. This castle may look familiar as it is a popular television and movie filming location. Casa Loma was built early in the 20th century by a Canadian financier who dreamed of living in a medieval castle, but financial misfortune forced him to abandon it. Visitors can take a self-guided tour of the majestic castle with the help of a multi-media guide, or just use a map to wander the Great Hall, Library, Conservatory, private rooms, and underground tunnel to the stables. Summer visitors should plan to spend some time strolling through the lovely gardens as well. We love Casa Loma during the Christmas season when it is decked out for the holidays, making it an even more magical place to visit. One of our family’s favorite attractions in the city is the Ontario Science Centre where the hands-on exhibits are so much fun that the kids don’t realize how much they are learning! 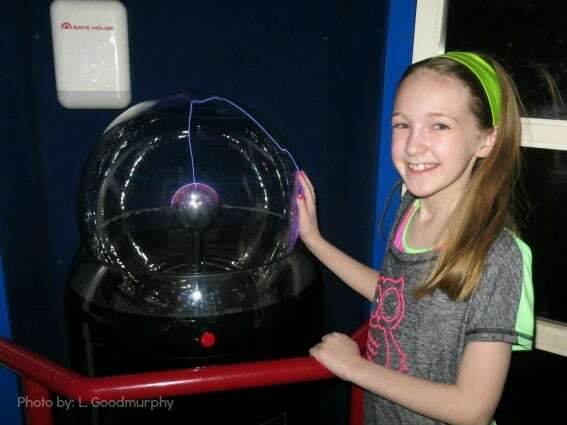 Visitors can explore a rainforest, space, and the human body, or try some of the fun physics experiments in the popular Science Arcade. KidSpark provides a fun and educational play space for children under the age of 8. The IMAX Dome theater features films projected on a screen 4,500 times larger than an average TV screen with 44 speakers delivering 13,000 watts of sound. Viewing one of these films in this theater is an incredible sensory experience, but it may be too much for young children who can be overwhelmed by the intensity of the sound and the visuals. There’s no shortage of thrills at Canada’s Wonderland where headliner rides – Leviathan, Behemoth, Riptide, and Psyclone – provide heart-pounding excitement. The park also features the Jurassic-themed animatronic Dinosaurs Alive and the 20-acre Splash Works Waterpark which has a lazy river, water slides, and a wave pool. 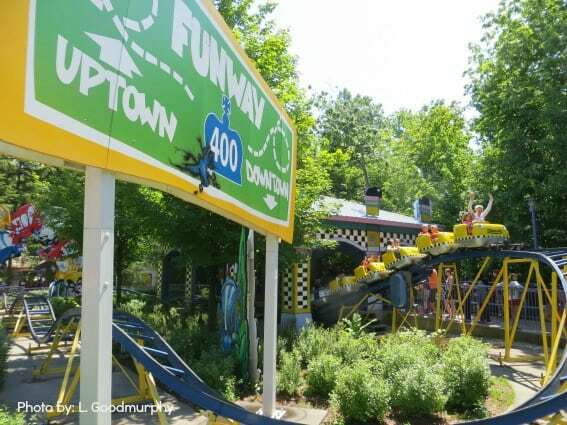 Younger kids enjoy Planet Snoopy and KidZville where there are kid-sized rides with mild thrills, daily character greetings, and entertainment. The park is only open seasonally from May through October but is one of the most popular attractions in the GTA. The Toronto Zoo is the ideal place to spend a few hours or an entire day outdoors any time of year. The zoo is organized geographically and has over six miles of walking trails, which means it is nearly impossible to cover in one day. 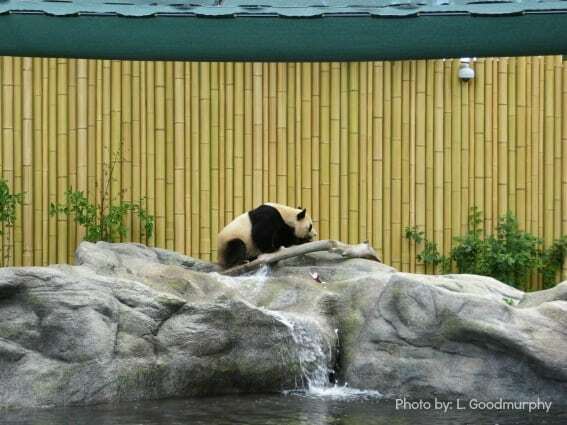 The zoo’s most popular residents at the moment are a recently arrived pair of giant pandas who are visiting from China until 2018, and Humphrey the polar bear cub who is now in his new home in the Tundra Trek. The zoo also features a play area for kids, a splash pad in the summer, a carousel, rides on camels and ponies, and the Gorilla Climb ropes course. The zoo is stroller-friendly with wide paved pathways throughout and there are strollers and wagons available to rent for anyone traveling without their own. The Royal Ontario Museum (the ROM), one of the world’s leading museums of natural history and world cultures, features over 30 galleries, engaging permanent and temporary exhibits including the Age of Dinosaurs, the Gallery of Biodiversity, the Age of Mammals, and the Gallery of Egypt. 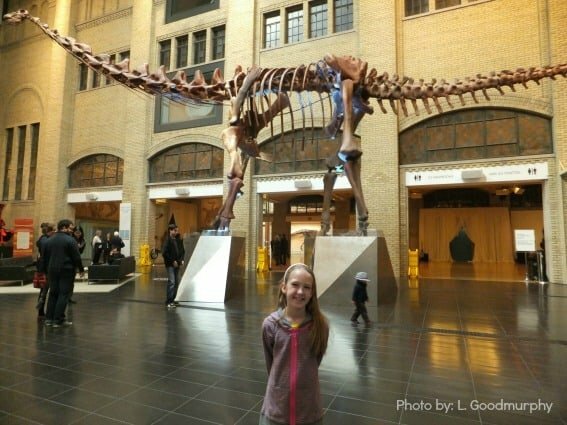 The museum has a number of family-friendly elements including the hands-on CIBC Discovery Gallery, as well as ROMkids which has extensive family programming such as drop-in programs, weekend family activities, and sleepovers. During the warm weather months, an excursion to the Toronto Islands via the Toronto Island Ferry is an excellent way to get a postcard view of the city’s skyline from the harbor. Most of the action is on Centre Island where visitors can bike, kayak, enjoy the beach, or picnic in the park. Centreville Amusement Park and Far Enough Farm are only open during the summer months but are great for families with children under the age of ten. Centreville has more than 30 pint-sized rides and attractions and visitors pay for rides rather than entry into the park. Ripley’s Aquarium of Canada, located at the base of the CN Tower, is Canada’s largest indoor aquarium and features both marine and freshwater habitats from around the world. 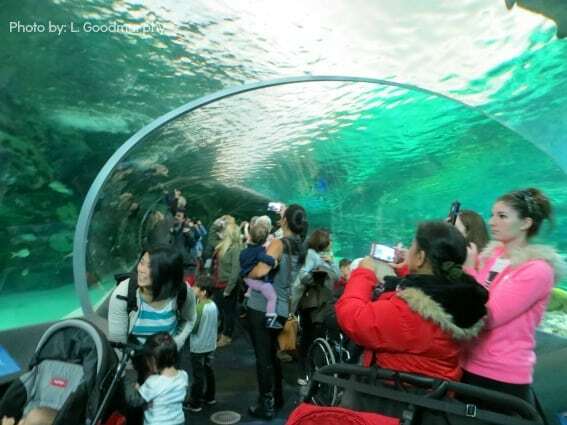 The most impressive exhibit at the aquarium is the Dangerous Lagoon underwater tunnel that visitors can travel through on a moving walkway for a close-up view of a number of predators. Kids love the Discovery Centre which is located midway through the aquarium and features a playground, touch pools, a research submarine, and animal exhibits. There’s a café located here but it is rather small and can be very crowded, so bringing a few snacks along is a good idea. The 1,815 foot tall CN Tower dominates the Toronto skyline and a ride to the top is a must do for first-time visitors to the city. In less than one minute, a high-speed glass-fronted elevator whisks passengers to the look-out level for spectacular views over the city and beyond. If you don’t fear heights, pose on the glass floor and look straight down to the ground more than a 1,000 feet below. Adventurous families with older kids might want to try EdgeWalk, the world’s highest full-circle hands-free tethered walk which takes place on a 5 foot ledge outside the main pod of the tower. Participants must be at least 13 years of age and weigh more than 75 pounds to participate. The price tag is hefty but it’s a once-in-a-lifetime experience for serious thrill-seekers. There’s also a restaurant at the top of the tower which revolves 360 degrees each hour providing diners with magnificent views of the city. Tip: Purchasing a Toronto CityPASS can save time and money at five of the city’s top attractions. Multicultural Toronto is known for its diverse cuisine and neighborhoods such as Chinatown, Greektown, Little Italy, and others offer authentic cuisine that’s popular with locals as well as visitors to the city. Another great option for families is St. Lawrence Market which has been operating in the old part of the city since 1803 and has recently been recognized by National Geographic as the number one food market in the world. 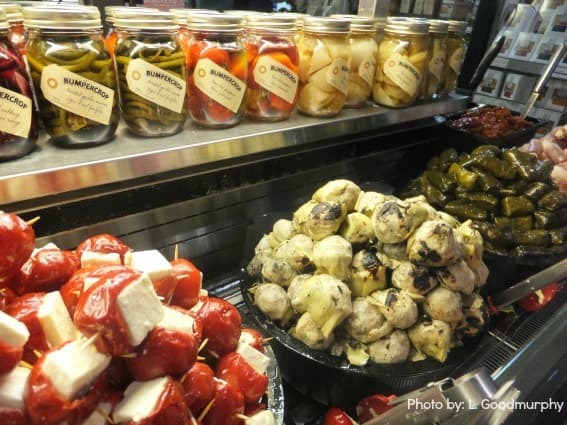 More than 120 vendors sell produce, meat, fish, dairy products, and baked goods in the South Market building which is great for picking up lunch or a snack or stocking up on groceries while staying in apartment-style accommodations. Keep in mind that the market is closed on Mondays. There are a number of family-friendly hotel options in different price ranges located in downtown neighborhoods that are close to numerous attractions and to public transit. As in most major cities, the farther one is willing to stay from downtown, the less expensive the accommodations. Chelsea Hotel – Families rave about the drop-in kids program with bunnies, games, and activities as well as the indoor pool with water slide! The Fairmont Royal York – Amazing location close to everything with charm and perks for a royal treat! Westin Harbour Castle – Overlooks the harbor (be sure to splurge on the upgrade!) close to the city’s fun. 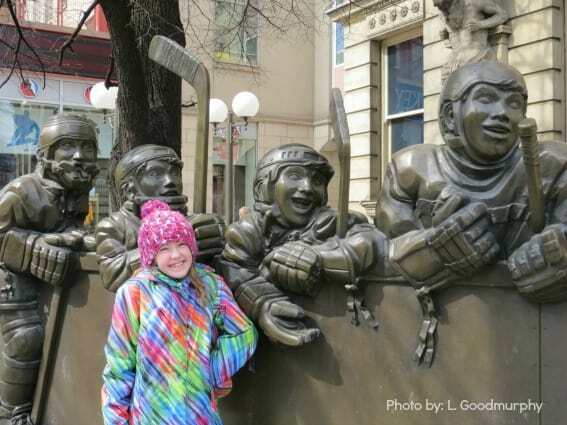 Read reviews of kid-friendly lodging in Toronto on Trekaroo. The Niagara region is approximately a 1.5 hour drive from Toronto and the perfect opportunity to see one of the world’s natural wonders. There’s enough to do in the region to keep a family busy for several days but visitors with only one day will want to focus on Horseshoe Falls itself. 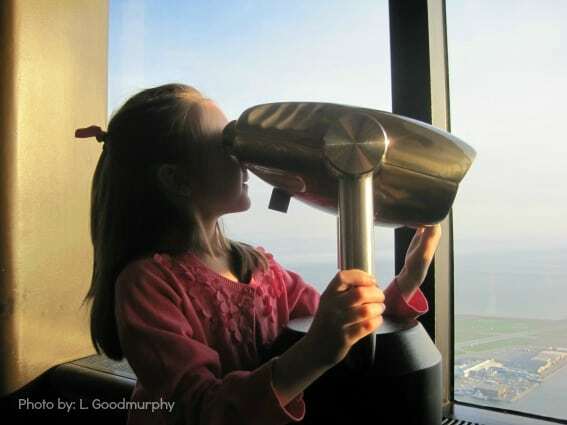 The two best ways to get up close are taking a tour boat to the base of the falls with Hornblower Cruises or descending to the observation deck at the Journey Behind the Falls attraction. Other popular activities include taking in aerial views of the falls from the observation deck of the Skylon Tower or from the Niagara SkyWheel, visiting the Niagara Parks Butterfly Conservatory, and checking out the midway rides, games and attractions of the Clifton Hill area. Tip: Trekaroo Blog Editor Katie Bodell recommends taking a tour to Niagara Falls. 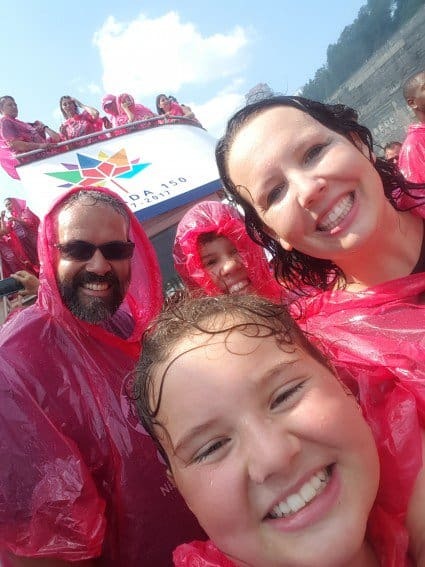 She and her family hopped on board King Tours, who picks guests up at their Toronto-based hotel or AirBnB, and was chauffeured to the Falls on a comfy bus with AC and WiFi. The tour includes optional lunch voucher, and stops at all of the Niagara attractions, including Niagara on the Lake and wine tasting. Bonus- the kids made friends with other kids on the bus and moms and dads enjoyed a relaxing ride home instead of sitting frustrated in traffic. For a nice change of pace, daytrippers should stop in the quaint village of Niagara-on-the-Lake on the way back to the city. It’s a completely different world from the hustle and bustle of Niagara Falls with charming boutiques and galleries, horse-drawn carriage rides through town, and the world-famous Cows Ice Cream. During the summer months, visitors can also attend a theatrical performance at the Shaw Festival. Theatre lovers should consider a day trip to Stratford during the internationally renowned Stratford Shakespeare Festival’s season which runs annually between April and November. The primary mandate of the festival is to share the works of William Shakespeare, however the playbill includes musicals and the works of other playwrights presented at four separate venues. The Festival also offers family-friendly workshops on certain performance dates as well as backstage and costume tours and reduced pricing for children. Visitors should plan to arrive early and eat at one of the many fine restaurants or picnic along the banks of the Avon River. 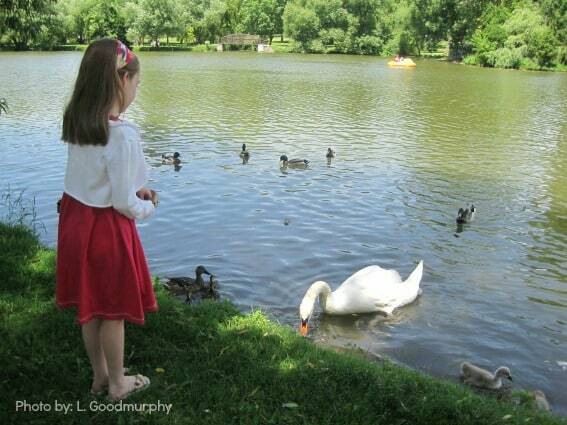 Kids will love feeding the ducks and swans and, if time allows, it’s fun to rent a paddleboat, canoe, or kayak and spend time on the river. For more tips on exploring Toronto, we heartily recommend visitors check out Toronto Tourism – See Toronto Now, the official site for tourist and destination information. Good Post! I will go to Toronto in November. The Niagara Falls…My son will love it!